Hurricanes and other seasonal storms are never any fun. Break-ins are never convenient. These threats to your building, however, aren’t going anywhere. Protecting windows, doors, and other open areas on your home or commercial building is the best way to minimize property damage from storms, theft, vandalism and more. But don’t use just any window and door protection products for your home or business in the Keys – get the best accordion shutters for windows, doors, and more in the Florida Keys from Empire Construction & Development. And rest assured that your windows and doors are as secure as possible. Affordable accordion shutters in the Florida Keys from Empire Construction & Development are made of heavy-duty aluminum. These strong shutters are designed to meet the most stringent wind codes in the country and are built to withstand impact. Since living in the Florida Keys means you need storm shutters you can count on, our accordion shutters and other storm protection products are the best choice for any homeowner or business owner. Durable accordion shutters in Monroe County can increase the safety of your home or business, and help increase its value too. Accordion storm and security shutters in the Florida Keys are available in four accordion shutter colors: white, ivory, beige, and bronze. See what accordion shutters look like in action at the bottom of our accordion shutter page. Our custom-made accordion shutters are built to fit large and small windows, doors, glass doors, patio areas, balconies, storefronts, and other openings. These sturdy storm and security shutters can be used on most window and door sizes. Call: 888-474-3555 for questions about measuring your windows for accordion shutters, and for help finding the best type of shutter for your building. Whether you want to protect your building from security threats like home break ins, robberies and vandalism or you want dependable protection against hurricanes and other storms – or you need both types of protection – window and door protection works. Buying accordion shutters in the Florida Keys is an affordable and reliable way to get the window and door protection you need, whenever you need it. 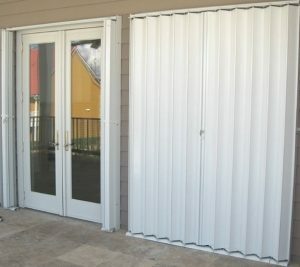 Find the best accordion shutters in the Florida Keys at HurricaneShuttersFlorida.com. Here you can find accordion shutters, and any other type of storm and security shutter you may be looking for. Contact us for the price of ordering accordion shutters and with any questions about your storm and security shutter order. When you find the best accordion shutters in the Florida Keys from Empire Construction & Development, you’ll be sure that your building is safe. When you’re shopping for shutters in Melbourne-Cocoa Beach, don’t settle for just any window and door protection. Hurricane protection, tropical storm protection, and window security is serious business in Florida. If you’re looking for shutters to permanently install on your home or business for storm protection, anti-theft measures, and more, get the best storm and security shutters in Melbourne and Cocoa Beach, Florida from HurricaneShuttersFlorida.com. And more. Installing the best accordion shutters from Empire Construction & Development on your residential or commercial building in Melbourne-Cocoa Beach, Florida is an affordable way to get storm protection and anti-theft protection. Hurricanes, tropical storms and other seasonal storms can mean trouble for your windows, doors, patio or storefront. High winds and flying debris can crack or break your windows, damage your doors, and leave your home or business vulnerable to water and wind damage. By covering windows, doors, and other openings with aluminum accordion shutters in Brevard County, you are protecting these vulnerable areas with a strong barrier. Affordable accordion shutters from Empire Construction & Development are built to withstand high winds speeds and impact, and can be used on commercial and residential buildings in Melbourne-Cocoa Beach, Florida. If you’ve put a lot into your home, office, hotel, restaurant, bar or retail store, don’t let burglars undo your hard work. Broken windows, property damage due to break-ins can be expensive to repair and upsetting and unsafe. Securely cover your windows, doors, and other open areas on your building for overnight protection, added security when you’re out of town, and overall peace of mind. Durable accordion shutters from Empire Construction & Development are easy to use – they glide along a built-in track and fold at the sides of each window and door when open. Protecting your home or business in Melbourne and Cocoa Beach is easy with these strong security and storm shutters. Our accordion shutters are made-to-order and designed for maximum storm protection and security. 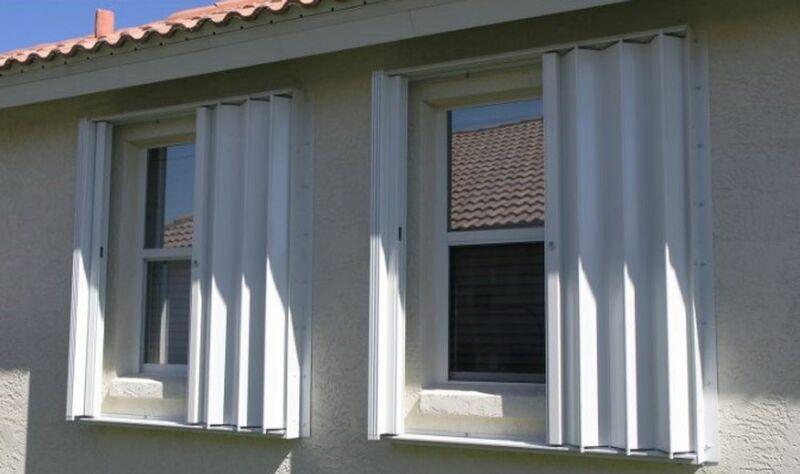 Don’t leave your windows and doors unprotected – get the #1 shutters for storm protection and security in Melbourne-Cocoa Beach, Florida when you buy accordion shutters from Empire Construction & Development. Accordion shutters from Empire Construction & Development are available to homeowners and business owners in Melbourne-Cocoa Beach, Florida online at HurricaneShuttersFlorida.com. Contact us with your window and door measurements for a free quote on the price of accordion shutters. Call: 888-474-3555 for questions about your shutter order, finding the best shutters for your home or business, and anything else we can help you with. 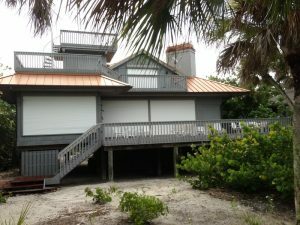 Keep your building safe with the top shutter choice in Melbourne-Cocoa Beach, Florida with accordion shutters from HurricaneShuttersFlorida.com. Everything about their retirement was going as planned. A couple from the Midwest had sold their home and bought a great house in warm, sunny Naples, Florida. No more shoveling snow, morning coffee on their terrace, a view of the golf course from their balcony, lots of big windows that let the light in – it was great. But they quickly realized they were missing one thing: window and door protection for their new home. They may have traded in snow and workdays for sun, golfing and leisure time but hurricanes and other storms were now a threat, and their house needed a security upgrade too. Accordion shutters were the answer! These strong aluminum accordion shutters in Fort Myers-Naples from Empire Construction & Development would let them protect their windows, glass doors, patio, and balcony from bad weather and break-ins. Some of their neighbors have storm panels, but the couple found out that their new shutters are more convenient than storm panels, plywood, or decorative shutters. Permanently installing accordion storm shutters on your home or commercial building makes it easy to cover your windows and doors whenever you need to. Now the retired couple in Naples could quickly protect their home before a hurricane or other storm, and securely lock up their home when they went back up north to visit their grandkids. Reliable accordion shutters helped make their retirement stress-free. At Empire Construction & Development, we manufacture strong and reliable storm and security shutters. Our accordion shutters can be used to protect against hurricanes and tropical storms, other seasonal storms, extreme weather, and theft. These durable accordion shutters are custom-built, so you know they’ll fit the windows, doors and other areas on your home or business in Fort Myers-Naples. Accordion shutters can be used on most window, door, patio, and storefront sizes. Take a look at what our customers have to say about our accordion shutters and our other great storm protection and security products. 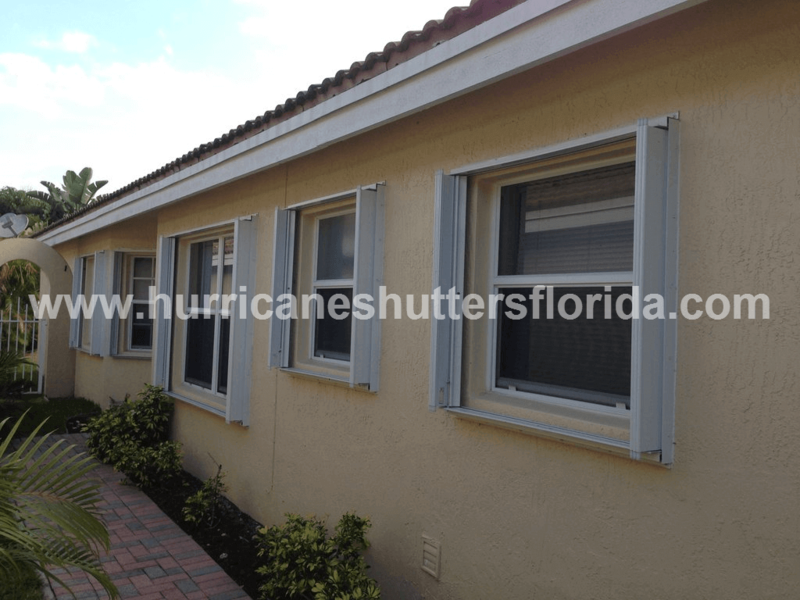 You can find the shutters you need online at HurricaneShuttersFlorida.com. For a free quote on the price of accordion shutters in Fort Myers-Naples, contact us today. Call: 888-474-3555 to speak to our shutter experts about finding the best accordion shutters in Fort Myers-Naples. Protecting every area of your home or commercial building that’s vulnerable storm damage and break-ins doesn’t have to be hard. Secure patios, balconies, terraces, storefronts and more in Fort Meyers-Naples, Florida with accordion shutters from Empire Construction & Development. It’s hard to imagine what theft, violent storms and hurricanes have in common. The answer is quite simple! Keeping the bad stuff out – preventing the thief from entering your home or business; keeping the violent storm or hurricane from compromising the integrity of your property by keeping the windows and doors intact. That’s where Hurricane Shutters Florida comes to the rescue! Hurricane Shutters Florida stands ready to assist families and businesses in preparation for each upcoming hurricane season as well as anti-theft protection with roll-down hurricane shutters. Keeping your home or business secure and safe is their top priority! Headquartered in South Florida, Hurricane Shutters Florida provides both home owners and businesses with a superior product to protect their property and life against Mother Nature’s rage or a thief recklessly determined on stealing your hard earned possessions. Roll-down shutters are appealing to homeowners and businesses for two key reasons – they offer an elegant design solution with minimal visual impact and provide maximum strength and insulation from sun, storm, heat, noise, and weather extremes. The roll-down shutters from Hurricane Shutters Florida are constructed of the finest grade of aluminum for maximum impact resistance and durability. The sleek European-styled roll-down shutters are custom designed and engineered to fit each opening of your home, condo or business. A significant element of Hurricane Shutters Florida’s roll-down shutters is the immense value they bring to a homeowner or business. The expediency of implementing the shutters can be critical. With other window and door protections available on the market, roll-down hurricane shutters are the only product that can be employed in a matter of minutes. NO heavy steel panels to lug around to each and every window and door! NO climbing ladders to close up accordion shutters. The ease of the upgraded fully synchronized electric motor drive for maintenance-free operation means that your roll-down shutters can be employed quickly and safely. Manual cranks that offer smooth implementation are also available with Hurricane Shutters Florida product selection. An investment in Roll-down Hurricane Shutters secures your home or business against break-ins as well as severe and potentially deadly weather. You can be assured that Hurricane Shutters Florida’s roll-down shutters have been engineered to meet the most stringent wind codes in the country and have been reviewed and accepted by the most stringent Miami-Dade County product control division, Florida Building Code, and the International Building Code. Contact Us Hurricane Shutters Florida for a FREE Roll-down Hurricane Shutter Quote! Call us to order today at our South Florida Headquarters: (954)474-3557. Hurricane Irma in 2017 brought Florida’s Gulf Coast to a standstill for weeks. The university sent home students and businesses were shuttered. The projections for the hurricane’s impacted area continually shifted from the east coast of Florida to the west coast, finally barreling up the center of the peninsula causing massive damage. Fast forward to the upcoming 2019 hurricane season, how can you protect your home, condo or business from the damaging winds of upcoming hurricanes or tropical storms on Florida’s Gulf Coast? Hurricane Shutters Florida, headquartered in South Florida, stands ready to help homeowners and businesses prepare for extreme weather. It’s imperative to pre-plan the securing of your property given the total unexpected nature of hurricanes. The projection of landfall for Hurricane Irma flip flopped to the extent that folks from the east coast of Florida evacuated to the Florida Gulf Coast, only to end up having to evacuate north from there. NOW is the time to research and ultimately, purchase, protection for your windows and doors before the 2019 hurricane season rears its ugly head, June 1st through November 30th! Hurricane Shutters Florida, one of the largest, most technologically advanced manufacturers of hurricane shutters available on the market today, affords you the opportunity to buy direct from the manufacturer, saving money on your investment! One of the leading and most appealing products available are Roll-down shutters. Of most importance, Hurricane Shutters Florida produces Roll-down Hurricane Shutters that are constructed of the finest grade of aluminum for maximum impact resistance and durability. The added value to this investment for your property is lowered rates for homeowner insurance and increased resell value of your property. 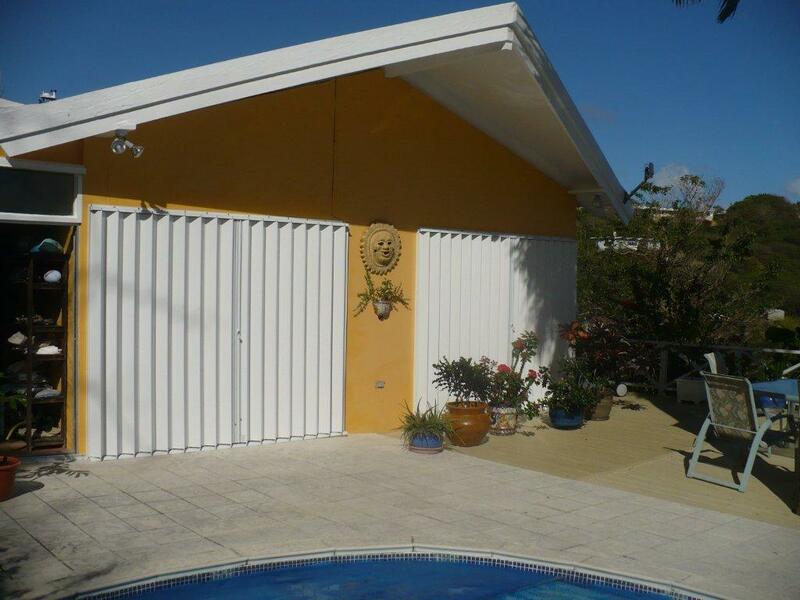 From an aesthetic perspective, Roll-down hurricane shutters offer an elegant design solution with minimal visual impact, all the while providing maximum strength and insulation from weather extremes, albeit hurricanes or tropical storms, sun, heat, noise, and even protecting against theft. Implementation of the roll-down shutters is as simple as operating the smooth, manual crank or an upgraded fully synchronized electric motor drive. No back-breaking labor of lugging heavy steal panels around to each and every window of your home, and certainly no worries about installation of panels on second story structures! 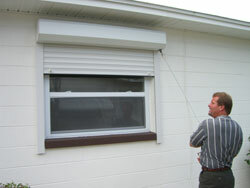 Roll-down shutters not only provide for the safety of your property but also provide for the safety of the installer. Roll-down Shutters from Hurricane Shutters Florida have been engineered to meet the most rigorous wind codes in the country and have been reviewed and accepted by the Miami-Dade County product control division, Florida Building Code, and the International Building Code. The rock-solid durability and easy set-up provides homeowners with comfort and security knowing the roll-downs are the highest-quality available in the industry. Your bottom line should be calm and preparedness knowing that your Florida Gulf Coast home, business and family is protected again storms of all kinds! Contact Hurricane Shutters Florida for a free quote today, use our convenient online quoting tool or give us a call at (954)474-3557. We look forward to providing you with the storm protection and security Roll-down Hurricane Shutter needs! What’s there to do in Kinston, North Carolina? As more and more tourists are discovering, towns not too far from the coast in North Carolina offer plenty of options for fun — from beaches and golf courses to historic sites and museums. Kinston is home to parks and markets that draw locals and tourists alike, and close to major cities and great beaches in North Carolina. There’s lots to do in and around Kinston, but there’s something you should definitely do in Kinston before the next hurricane season: get reliable storm shutters for your home or commercial building. Strong storm shutters can protect your windows from hurricane damage and seasonal storm damage in Kinston. The high winds and flying debris that these storms can bring can be bad news for your windows, doors, and other vulnerable areas on your home. But with sturdy, hurricane-rated shutters from Empire Construction & Development, you can keep your windows secured from the storm damage that hurricanes, tropical storms, and even winter storms can cause. Bahama storm shutters made by Empire Construction & Development are an attractive addition to any home or commercial building, and provide dependable storm protection. These shutters are made of heavy-duty extruded aluminum, for the best storm protect in Kinston, North Carolina. Bahama shutters are permanently installed on the outside of some of all of your windows, and are available in a wide variety of custom Bahama shutter colors. Where can I buy Bahama storm shutters in Kinston? Visit Empire Construction & Development’s website HurricaneShuttersFlorida.com for one-stop hurricane shutter shopping. Any type of storm shutter you need in Kinston is available to you when you order your storm shutters online from our website. You can choose the size and type of Bahama shutter you need, pick out a shutter color, and see how to install our Bahama storm shutters online, any time. Call: 888-474-3555 to speak to one of our storm protection experts about your Bahama shutter questions and storm protection concerns. What sizes do Bahama hurricane shutters come in? At Empire Construction & Development, we custom-make Bahama shutters for our customers in North Carolina. When you provide us with your exterior window measurements, we will build shutters to fit your windows. If your windows are all the same size or each a different size, standard sizes or not, we can custom-build the right storm shutter for each of your windows. At Empire Construction & Development, storm protection is our concern – and we help our customers in North Carolina and throughout the US keep their buildings safe during storms with high-quality, affordable storm shutters. If you are looking for Bahama shutters in Kinston, contact us and get the shutters you need. Finding affordable Bahama hurricane shutters in Kinston, North Carolina is easy when you buy your shutters from Empire Construction & Development. From beachfront homes and hotels to historic buildings near the sea, South Carolina’s buildings need the best storm protection before hurricane season returns. What can you do to protect your home or commercial building from the threat of storm damage this coming year in coastal South Carolina? One of the most surefire ways to get a safer home is to install strong, storm-grade hurricane shutters on your windows and doors. Accordion shutters from Empire Construction & Development are an easy and convenient way to secure your windows and doors from storm damage, theft, and more in coastal South Carolina. 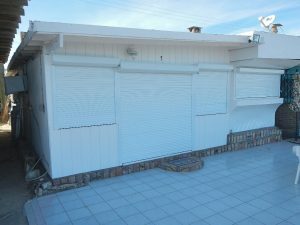 What are the uses for accordion storm shutters? Accordion storm shutters from Empire Construction & Development are durable, multi-purpose shutters built for homes and commercial buildings. Firstly, these shutters protect against hurricane and tropical storm damage to buildings in Charleston, Myrtle Beach, Hilton Head, and along South Carolina’s east coast. They are built to withstand hurricane-force winds, rain, and flying debris for buildings on the east coast and throughout the most storm-prone areas of the US. But accordion shutters from Empire Construction can also be used for security, privacy, shade, and to reduce the heat or cold air that can enter your home around your windows. Accordion shutters from Empire Construction & Development are popular as storm shutters and as security shutters for homes, office buildings, restaurants, storefronts and more in South Carolina. Do accordion storm shutters come in standard sizes? At Empire Construction & Development, we custom-make accordion shutters for our customers in coastal South Carolina. Whether you have standard size windows, small or large windows, atypical openings, or some combination of these on your home or commercial building, we can build the accordion shutters you need. Accordion shutters can be used on most window and door sizes, including uniquely-shaped openings, very large windows or sliding doors, or other areas on your property that need hurricane and/or theft protection. To install accordion shutters on your windows, doors, garage doors, patio areas and more, you just need to be sure you have enough space on the side of each opening for the shutter to fold when open. Have questions about fitting accordion hurricane shutters on your windows or doors? Call: 888-474-3555 to speak to one of our storm protection experts about finding the right storm shutter size and type in South Carolina. Where can I buy accordion storm shutters in coastal South Carolina? You can order custom accordion shutters in South Carolina from our website, HurricaneShuttersFlorida.com. We manufacture accordion shutters and other storm shutters in South Florida, and ship to our customers throughout the US and beyond. Contact us for more information on ordering accordion shutters for your windows and doors in Charleston, Myrtle Beach, Hilton Head, or elsewhere in coastal South Carolina. Order the best accordion storm shutters in coastal South Carolina when you order your hurricane shutters online from Empire Construction & Development. Great fishing and boating, a lively boardwalk, and plenty of seaside activities make Carolina Beach one of the most fun places on North Carolina’s coast. Beachgoers and outdoor enthusiasts of all ages enjoy the state park in Carolina Beach, cruises, nightlife, and more. But if you own a home, vacation home, restaurant, store or hotel in Carolina Beach and you don’t yet have hurricane shutters on your windows – act now! Do what you can to prevent storm damage to your home or commercial building in Carolina Beach by purchasing roll-down shutters from Empire Construction & Development for your windows and doors. Rolling shutters are one of the great storm protection shutters that are custom-made by Empire Construction & Development. These roll-down storm shutters are made of heavy-duty extruded aluminum and engineered to meet the most stringent wind codes in the country. That means these shutters are made to protect your windows and doors from high winds, train and debris during hurricanes, tropical storms, or other sever weather conditions in Carolina Beach, North Carolina. Rolling shutters make protecting your building easy. 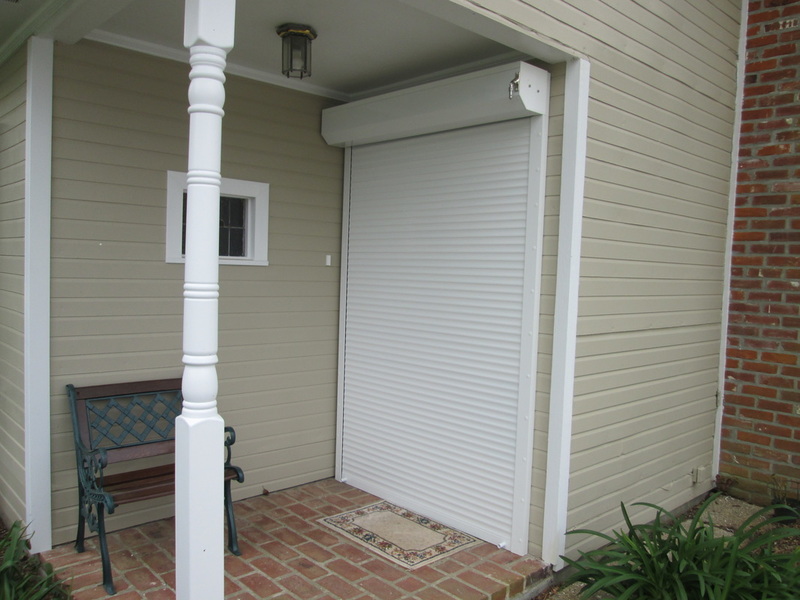 Installing rolling shutters from Empire Construction & Development lets you secure your property whenever you need to. These aluminum roll-down shutters are housed above each window and door when not in use, and can be deployed when needed through the use of a hand crank, a standard motor, or an upgraded motor with a remote control. Rolling shutters allow you to cover the windows and doors on your building in Carolina Beach quickly, easily, and without worry. Rolling shutters make protecting your building look good. Our rolling shutters are built with a sleek design and enhance the look of your home, as well as improving its safety. Roll-down hurricane shutters from Empire Construction & Development are available in four colors: white, ivory, beige, and bronze – you can pick the rolling shutter color that complements your home. Forget about hammering plywood over your windows – upgrade your storm protection in Carolina Beach to custom-designed rolling shutters from Empire Construction & Development. Rolling shutters are a great choice for hurricane protection, security, and privacy for homes, hotels, restaurants, and other buildings in Carolina Beach. But if you’re looking to buy another type of shutter, we manufacture a variety of aluminum storm shutters for customers in North Carolina, including: Accordion hurricane shutters, Bahama hurricane shutters, and Colonial hurricane shutters. At Empire Construction & Development, we help our customers protect their buildings with our durable, reliable storm shutters. Take a look at our customer testimonials, then contact us to order hurricane shutters online in Carolina Beach. Call: 888-474-3555 for a free estimate on the cost of buying rolling shutters in Carolina Beach, North Carolina and let our team answer your storm protection questions. Keep your building safe in Carolina Beach with roll-down hurricane shutters from Empire Construction & Development.